In a case "similar to Medinol," the Board granted Petitioner's motion for summary judgment on the ground of fraud as to four registrations owned by Respondent, finding that Respondent had made knowingly false statements in its Statements of Use (signed by its attorney) regarding use of its XEL HERBACEUTICALS marks on some of the goods listed in the registrations. 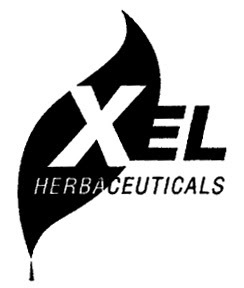 Herbaceuticals, Inc. v. Xel Herbaceuticals, Inc., 86 USPQ2d 1572 (TTAB 2008) [precedential]. Respondent Xel admitted in discovery that it had failed to use its marks on various goods listed in four of its registrations (each registration involving a single class of goods). Xel lamely argued that the appropriate remedy is partial cancellation, not complete cancellation, of those four registrations, but the Board disagreed. "Partial cancellation would merely place Xel in the same position in which it would have been had it filed statements of use which accurately reflected the goods on which the marks were being used." Xel also urged a laches defense, but the Board pointed out that "[l]aches is unavailable as an affirmative defense against a fraud claim." The fact that the Statements of Use were signed by Xel's attorney made no difference. ***"Considering that [Xel's attorney] admitted ... that he did not have actual knowledge as to the goods on which the involved marks were being used, he was obligated to inquire. See Patent and Trademark Office Rule 10.18(b)(2). To the extent he did inquire, his inquiries would appear to have been grossly insufficient. See Medinol, 67 USPQ2d at 1209. The specific or actual intent of [the attorney] is not material to the question of fraud. '[P]roof of specific intent to commit fraud is not required, rather, fraud occurs when an applicant or registrant makes a false material representation that the applicant or registrant knew or should have known was false.' General Car and Truck Leasing Systems, Inc. v. General Rent-A-Car Inc., 17 USPQ2d 1398, 1401 (S.D. Fla. 1990)." The Board also rejected Xel's desperate attempts to divide the statement of use into "sworn" and "unsworn" portions, and to distinguish between the phrases "all goods and services" and "the goods/services." The Board concluded that, although not all false statements constitute fraud, no conclusion other than fraud was possible here. 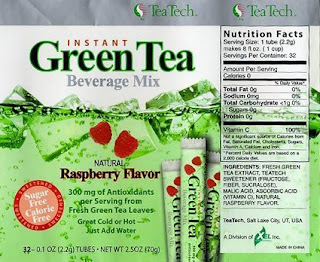 In addition, the Board denied Petitioner's summary judgment motion as to two of Xel's registrations because a genuine issue of material fact remained as to whether Respondent's statement in discovery that the pertinent marks were in use on "green tea related goods which have a variety of uses including uses as antihypertension agents ... " constituted use on the "pharmaceuticals" identified in the registrations, and "as to whether Xel's attorney had a reasonable basis for belief that the marks were being used in interstate commerce on such 'pharmaceutical'" when it filed its statement of use. TTABlog note: In dictum, the Board stated that if fraud is found, "the registration is void in the international class or classes in which fraud based on nonuse has been committed." In other words, fraud may knock out a single class in a multiple-class registration. In the instant case, however, each registration of the six registrations involved a single class of goods.